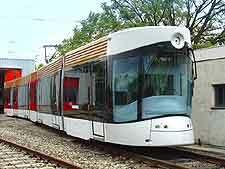 Travel in and around Marseille is reasonably easy thanks to its extensive public transport network. Most parts of the city can be reached by bus or metro. Some shopping streets in Marseille have been made into pedestrian zones and are pleasant places in which to stroll and explore the city. 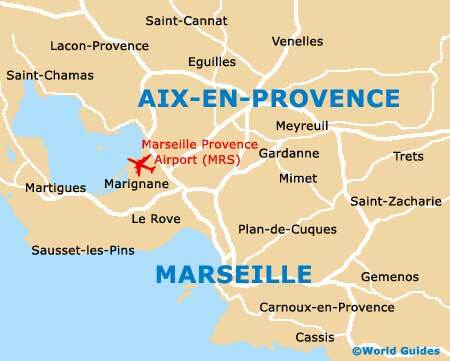 Marseille Provence Airport is 20 km / 12 miles north-west of the city centre. It handles a large number of international and domestic flights. Regular shuttle bus transport links the airport to Marseille's main train station, the Gare SNCF St. Charles. Like most major cities, traffic in Marseille has increased in recent years and the city can become congested at peak times of the day. You will need to pay to park or garage your car, which can be quite expensive. Visitors to the city may wish to park on the outskirts of Marseille and travel by public transport into the city. Tourists wishing to travel outside of Marseille city centre, to nearby tourist destinations, may consider it worthwhile to hire a car. It should be noted that main roads are prefixed by the letters RN and motorways by the letter A. 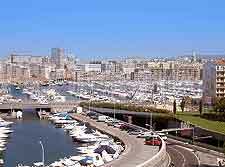 By road, Marseille is at the end of the A7, one of France's main motorways, which runs north to south. Marseille is also connected by motorway to the Nice and the Cote d'Azur. There is a good selection of car rental transport agencies at Marseille's airport and at the main train station. Book your Marseille Car Rental here. Public transport is by far the quickest and cheapest way to travel around Marseille. There are two metro lines, with metro trains running from 05:00 to 21:00. After the métro closes for the evening, special night buses offer a replacement service. Buses run regularly and travel throughout the city and to nearby towns. Regional buses can be caught from the Gare Routiere on place Victor Hugo, just behind the main train station. 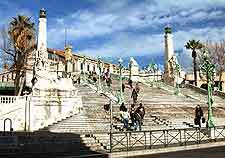 A variety of ticket options are available, ranging from single journey tickets to a one-day Marseille City Pass, which combines public transport travel with museum entry. Marseille's main railway station, the Gare SNCF St. Charles, is centrally located within the city. Marseille itself is connected to hundreds of European cities via an extensive train network. 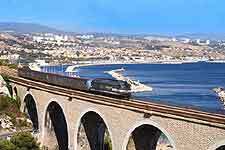 The French high-speed train service, La Grande Vitesse (TGV), provides daily travel between Paris and Marseille, and also between Nice and Marseille. Taxis are a convenient way to travel around Marseille. Many restaurants and bars will book a taxi for you and it is possible to request a multilingual service. Visitors should only take taxi from official ranks, for example, outside the train station. Taxis are also available 24-hours a day from Marseille Airport. Thanks to its coastal location, Marseille has numerous connections with towns and cities on the Mediterranean. Regular ferries travel between Marseille and Algiers, as well as other North African destinations. In addition, it is possible to travel by boat to Corsica and Sardinia.